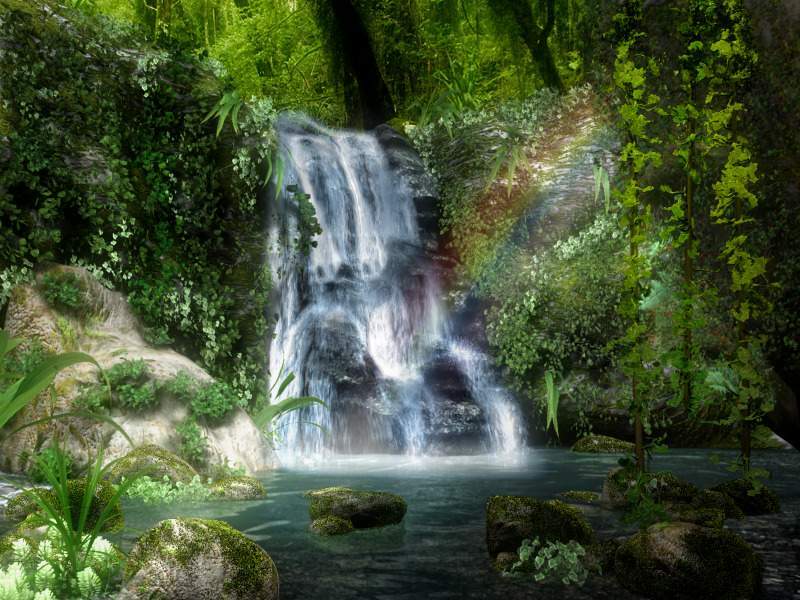 waterfall 무지개, 레인 보우 forest. . HD Wallpaper and background images in the 아름다운 사진 club tagged: beautiful pictures.